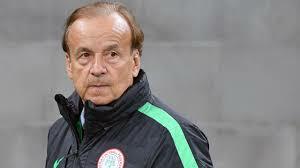 Super Eagles technical adviser, Gernot Rohr has blown the lid off his strategies for upcoming home and away matches against Libya in the Africa Cup of Nations qualifiers, as the Franco-German gaffer says he needs positive results from both games. Ahead of the first leg in Uyo next Saturday, Rohr said he is banking on the youthfulness and hunger for success of his squad, as he believes the Eagles will go all out for victories against Libya. 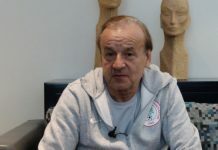 Footballlive.ng gathered further that Rohr is not banking on any particular player to make the difference against Libya, as he believes all the 24 players invited for the matches in Uyo and Sfax, Tunisia can bring him his desired results. Nigeria will host the first leg at Godswill Akpabio Stadium, Uyo on Saturday 13th October with the return leg scheduled for the 18,000 –capacity Stade Taïeb Mhiri in Sfax, Tunisia on Tuesday 16th October. Rohr is staying upbeat ahead of both matches, as he believes he has an abundant pool of talents with which he can take Nigeria back to an AFCON ticket by qualifying for next year’s edition in Cameroon. 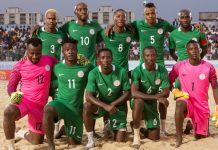 Rohr pointed out that his players are very hungry to play and believes the team’s youthfulness is a major driving force that will help take the Eagles to Cameroon 2019, after missing out of the last two editions. He stressed: “We have two crucial games against Libya. It’s crucial that we get positive results over the two legs and try to qualify for the competition as early as possible. 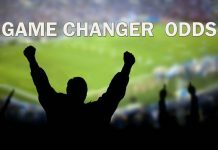 “There are abundant pool of players that I can choose from. Any of the invited players can get the job done as we enter the crucial bend of the qualification for AFCON.